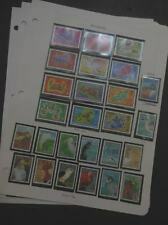 Nice Very Fine, Mint Never Hinged collection of mostly Birds & Animals. 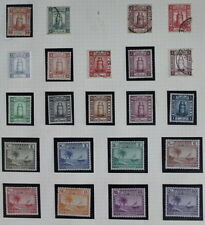 Maldive Islands 1906 Edward VII Complete set SG 1-6 Mint. Maldive Islands. 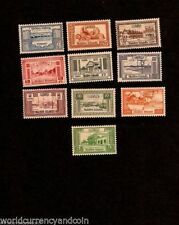 1906 Edward VII Complete set. Fresh mint set, small 'dealers marks'. MALDIVE ISLANDS. S.G. 24 - 6c. S.G. 22 - 3c. S.G. 21 - 2c. IN BLOCKS OF 6. MALDIVE ISLANDS. S.G. 24 - 6c. S.G. 22 - 3c. S.G. 21 - 2c. IN BLOCKS OF 6. KING GEORGE VI. MALDIVE ISLANDS 1933. A STRIP OF THREE. MINT Never Hinged - Full Original Gum with a tiny degree of toning. Catalogue Value £33 as singles. MALDIVE ISLANDS 1933. A MARGINAL STRIP OF THREE. MINT Never Hinged - Full Original Gum with a tiny degree of toning. Catalogue Value £48 as singles. MALDIVE ISLANDS SGMS304 1969 U.N.E.S.C.O. Maldives #592 rare Butterfly sheet Lot of 6. The stamp count is approximate but very close to exact. The scan is a typical lot. Maldive Islands 1933 KGV 15c black very fine used. SG 17A. Sc 16. Maldive Islands 1933 KGV 15c black very fine used. Gibbons # 17A. Scott # 16. 1933 5c Claret. LIGHTLY MOUNTED MINT. UK RECORDED (UPTO £100 TOTAL) £2.00. UK ORDINARY (UPTO £40 TOTAL) £1.00. 1933 5c Mauve. LIGHTLY MOUNTED MINT. UK RECORDED (UPTO £100 TOTAL) £2.00. UK ORDINARY (UPTO £40 TOTAL) £1.00. Maldive Islands 1930 cover franked with 3c.pair (Sg: 8) used to Vankaner,India. 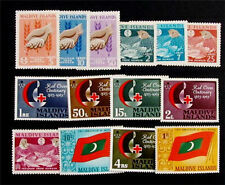 Maldives stamps,MINT LOT OF S/S , HCV! Maldive Islands 1906 issue 5c.postal stationary lette card ,un-used. MALDIVE ISLANDS. MALARIA ERADICATION. 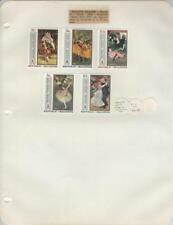 SUPERB MINT NOT HINGED - MNH. SEE SCAN FOR CONDITION. YOU WILL RECEIVE EXACTLY WHAT YOU SEE ON THE HIGH RESOLUTION E-BAY SCAN. The scan / picture / image - represents the actual item and is a part of item grading. I will respond quickly. FU - Fine Used. MLH/MM (etc) - a mix of MLH and MM with the majority being MLH. MLH - Mint Light Hinged - lightly hinged no hinge remainders. Used - used and in a good collectable condition. MVLH - Mint Very Lightly Hinged - almost invisible signs of having been hinged. 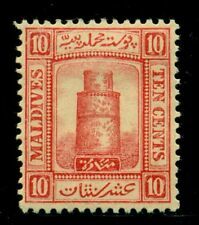 No: 63096 - MALDIVES - "PICASSO" - AN OLD BLOCK - MNH!! An old & interesting lot, in a good quality. to "unsafe" countries.